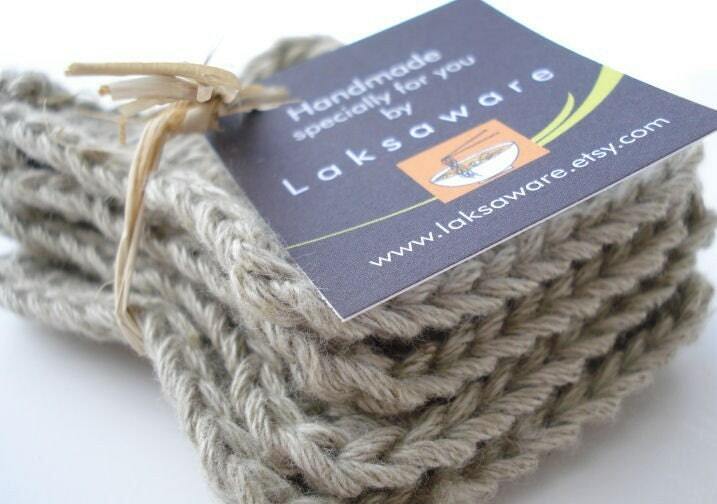 Bernadette from Laksaware offers functional handcrafted wares for your kitchen, bath, dining and more. How did you come up with the name for your shop, Bernie? Laksaware was inspired by a bowl of curry laksa while we were in Malaysia. While the husband was busy devouring his bowl of laksa and getting dots of curry splashed on his white shirt, we came up with the idea of having a "Laksa T-Shirt". Hence, the name Laksaware. We haven't ventured into selling our own T-shirts here yet. I don't really know how or when exactly. I have always been addicted to crafting, painting and trying out something new. I remember freaking my Mom out when I wanted to use her blender to blend my pulp to make some handmade paper. She let me use her mortar and pestle instead. My arms hurt so bad but I was determined to make my own paper. Spending time with loved ones, laughter, exploring different cultures, seeing more of this world we live in be it on a ship, boat, donkey or yacht, oh... and having some sushi and iced tea. Getting the right balance is a challenge right now. Sometimes I spend too much time obsessing about ideas or photos or buying supplies and not enough time creating. I can attest that doing research and sourcing for supplies on the internet is one of my biggest time stealer. I would have to say my happy little scrubbies. I like practical items, and doing dishes should be fun! I keep one for the stove, one for dishes and one for the bathroom. From a mad scientist, architect, ice cream seller to a homemaker. So how much space do you have on your blog ? There are so many wonderful and talented artists out there that it would take forever to list all my favorites. poshplushies.etsy.com - her fantasy felt items are simply too adorable! LaurenCastillo.etsy.com - her illustrations takes my breath away! I don't own a crystal ball but I do know that I will keep creating and doing things that I love. And putting my feet into doing more craft shows. Visit Laksaware on Etsy where Bernie is collaborating with a wonderful soap seller, soapscentsations.etsy.com and pairing guest-sized soaps with bath scrubbies. And now I am going to have this song stuck in my head all day!